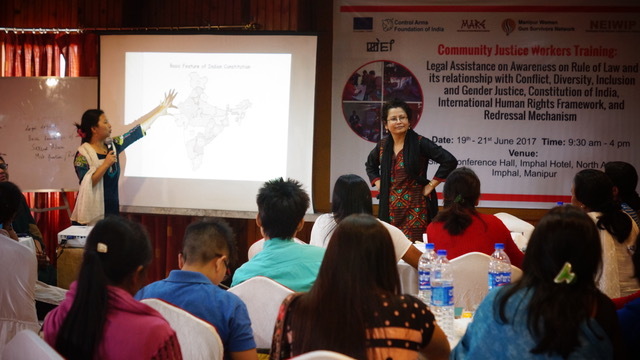 A three day legal training program was organized by Control Arms Foundation of India (CAFI) and Manipur Women Gun Survivors Network (MWGSN) in partnership with the Multiple Action Research Group (MARG) in Siroy Hall, Hotel Imphal, Imphal, Manipur. The event was also supported by the European Union (EU). 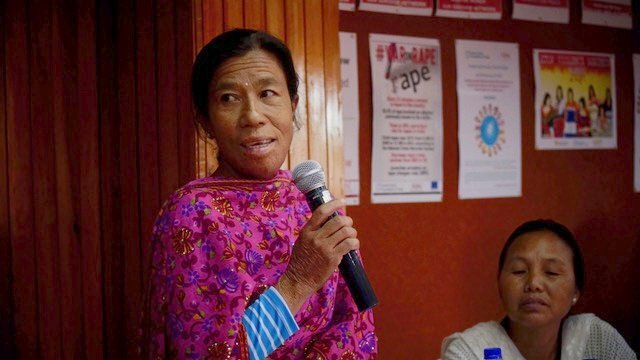 With both Racial and Gender Discrimination cases especially sexual violence rampant all across India, the aim of the training was to enhance the capabilities of grassroots workers, to spread legal awareness and make appropriate interventions to access the justice system to secure redress in cases of crimes against women and racial discrimination. Ms Reena Mutum, Coordinator, Manipur Women Gun Survivor Network, giving the current scenario in Manipur she shared “Of late, the people of Manipur have been facing a lot of crimes. Hence it is the right time to have these kinds of legal trainings because we really have to be equipped with all the legalities”. She further went on to add that “Nobody is above the law and therefore legal knowledge is a must for all especially community justice workers". Over the three days, the training covered basic understanding of the rule of law, the constitution, criminal justice system, laws relating to racial discrimination, sexual offences, trafficking, victim compensation and access to justice and legal aid through lectures, group activities and role plays. Speaking on the significance of the legal workshop, Ms Anju Talukdar, Director, Multiple Action Research Group, elaborated that “this training is for building capacities of NGO’s activists and grassroots workers so that they can function as community justice workers". She also explained how the community justice workers act as a bridge between the community and the formal justice system from providing basic legal knowledge to necessary assistance like filing a case or taking them to the police station. While conducting the training, Ms Ambalika Roy, a lawyer of MARG, mentioned how appropriate knowledge of law is crucial for anybody working with survivors. Ms Roy expressed that through this training the aim is to equip the people with the knowledge to access justice. Around 35 participants from different districts of Manipur namely Churchandpur, Ukhrul, and Imphal took part in the training. These participants belonged to a number of civil society organisations and support centers working for rights of women, child rights, trans - gender rights among several others.